I’ve got a lot of love for the classics. 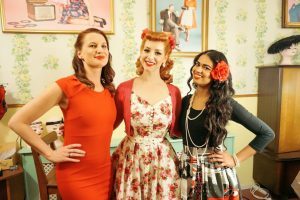 Classic songs, classic hollywood movies, classic fashion. You name it. This time my fascination focusses on classic eyewear. Trendy eyeglasses and thinner than thin contact lenses rule the world and they do it very nicely. Eyewear is more fashionable than ever and you have so many models to choose from. That was not always the case ofcourse. Today I am taking you on a little historical tour in the world of eyeglasses. It all started a long time ago and I am not talking about the 1950s right now. Literally. Not right now, but be a little patient. I will come that in a bit. But…first things first. When were those handy and neccessary eyeglasses invented and who invented them? Well, that’s a little bit of a grey area. Eyeglasses as medical aid are believed to be discovered by Romanian philosopher Seneca the Younger (who lived ca.4 BC – AD 65). Apparently he discovered that letters, no matter how small, could always be enlarged when you looked at them through a globe or glass of water. Amazing how a glass of water could be responsible for the nowadays “hi-tech” eyewear fashion world. When it comes to wearable eyewear, some people believe that eyeglasses were invented somewhere between 1268 and 1289, others think it was in 1284 or 1286. I think it’s safe to say that it was somewhere in the second half of the 13th century and it all started in Italy. So who invented eyeglasses? Well, that’s more like a grey/black area, because nobody knows. What we do know: monks and scholars were the first to wear eyeglasses. Back then, eyeglasses were balanced on the bridge of your nose or you had to hold the eyeglasses in front of your eyes to look through them. Not long thereafter, the production of eyeglasses would be boosted because of the invention of printing press, the availibility of books and literacy. Being able to read became very important, because of these developments. Flashforward to the 1700s. In this century, there was an important innovation in the eyewear business. For the first time, eyeglasses were produced with temple pieces that rested behind your ears. Gone were the days where glasses could only be “worn” by holding them in your hands. Also, no more “tired” hands. Imagine holding a good book with more than 300 pages in one hand and holding your glasses in the other hand… Moving on to another important invention by Benjamin Franklin: the bifocal glasses. Nowadays so common, but in those days an important invention that would be used in the eyewear world for the next centuries. 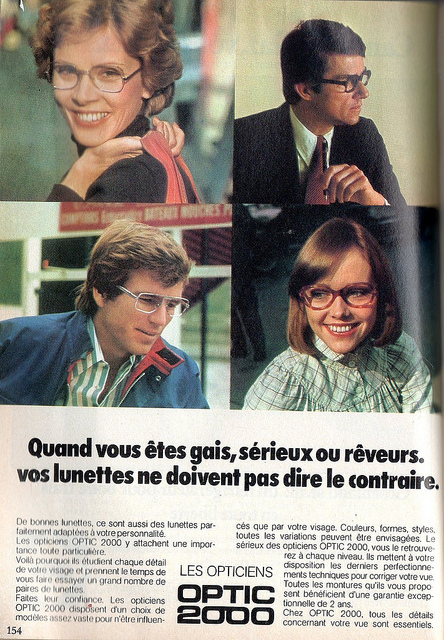 Another type of eyeglasses that did not met the present era: the wig special. Unlike the present, it was very common to wear wigs in the 1700s. If you wore a wig, you were pleasantly surprised by this innovation, because you could hide the temples inside your wig. Time flies, so we have arrived in the 1800s. More than 200 years ago a lot of things were different as you can imagine, but vanity survives in all centuries. Eyeglasses were seen as something that you would wear when you were old. (Similar to the general opinion about reading glasses these days). The mass public bought cheap glasses in their local store. 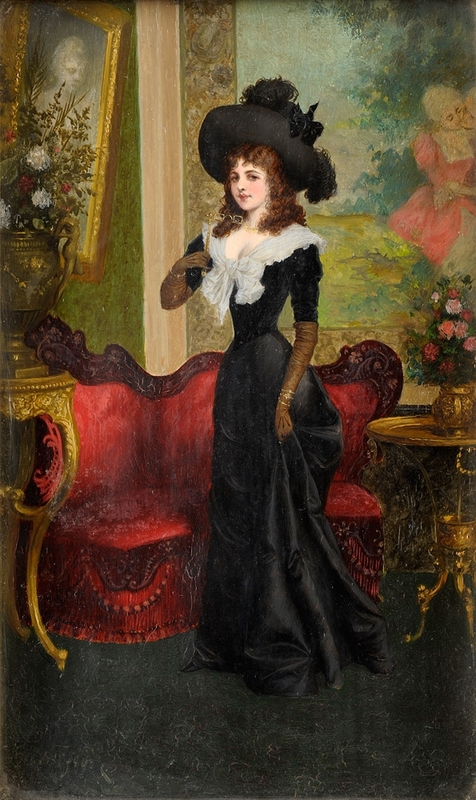 For the rich (and famous), there was the lorgnette. These eyeglasses were worn a lot by women, because you could avoid wearing glasses on your face and they were quite fashionable. Lorgnettes became so popular that they were included in everyday things. Pencils and lady fans were never this multifunctional. Moving on to the 1900s. The gentleman era. In this era another type of eyeglasses became popular and this time it was a men special: the monocle. The monocle was a round lens that improved the vision in one eye only. The lens was attached to an end of a string or wire. You could attach the other end to your clothes, to avoid losing it. The very first monocles were introduced in the late 1790s. During the 1800s, more improved models came on the market, but still there was no run on the monocles in that time period. This changed in the 1890s, when the most fancy and expensive monocle was developed. 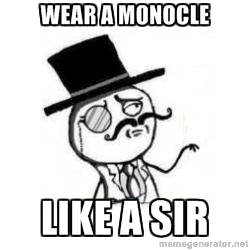 After that, the monocle became an essential part of the fashionable gentleman wardrobe in the 1900s. Ofcourse only affordable for the rich and famous in that century… Still, the image of a gentleman with a monocle is alive and kicking in the present. Remember the “like a sir” memes? Yes, there is a monocle involved. Whenever I see those memes and other pictures where men wear a monocle, I really think: that’s no ordinary man, that’s a sir. Meanwhile, time has passed in the 20th century. During 1900-1920 it was becoming more and more common to wear eyeglasses. Next to the monocle, there was the pince-nez, also known as pinch-nose. No, this didn’t mean that you could pinch people on the nose. The pince-nez was a popular, cheap type of spectacle without temples. However, it had a firm grip on the nose. Actually a little too firm, which could give the person wearing it an uncomfortable feeling. Despite of the firm grip, it could still easily fall of your nose (because it had no temples). So running to the horse tram or any other type of action was not recommended when you were wearing these glasses. In the 1930s, sunbathing became popular. You could see that in the fashion industry but there was also a new trend in eyewear fashion: sunglasses. The first lens that absorbed ultra-violet and infrared light was produced in 1913, but it wasn’t until the sunbathing craze in the 1930s that sunglasses became a real trend. 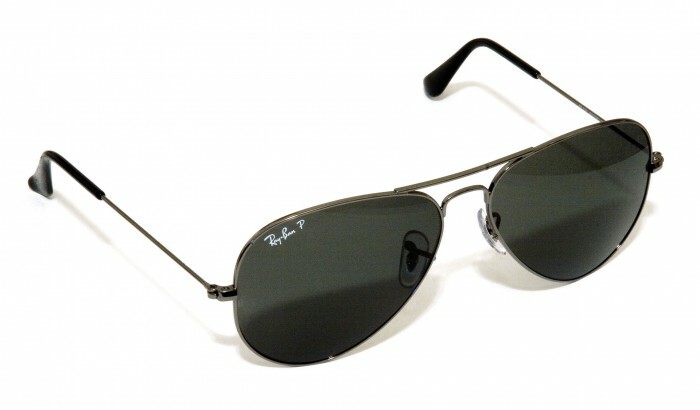 During World War II, sunglasses were further developed and modernized to fit the needs of pilots. During the 1940s, eyeglasses were available in more colors. Since eyeglasses were affordable, you could have a whole stack of them in different colors. 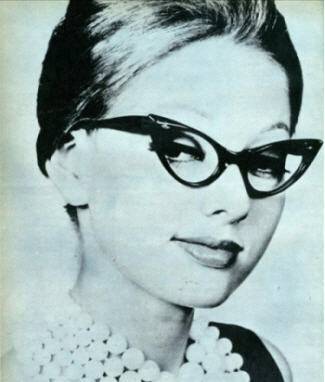 Another 1940s trend that was quickly adopted by women included the “Cat Eye” glasses. These glasses had an upsweep upper rim. If you also applied eyeliner in the typical 1950s cat eye style, you were totally cat proof. 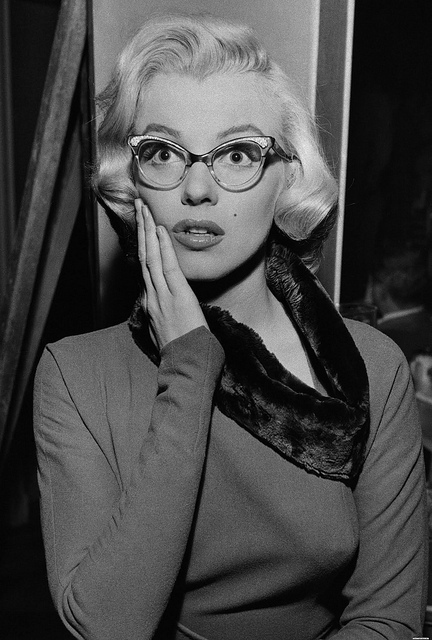 A lot of Classic Hollywood stars like Marilyn Monroe and Brigitte Bardot adopted the Cat Eye glasses trend, which gave the popularity of these glasses another boost. 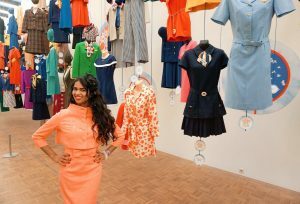 A lot of new styles have been developed from the 1940s until now, that are still trending in the present. Sunglasses obviously never went out of fashion? Remember the aviator sunglasses? Originally designed for pilots during (and after) the World War II years. Now everyone (who likes these glasses) can wear them. Actually, looking back in time is more popular than ever. 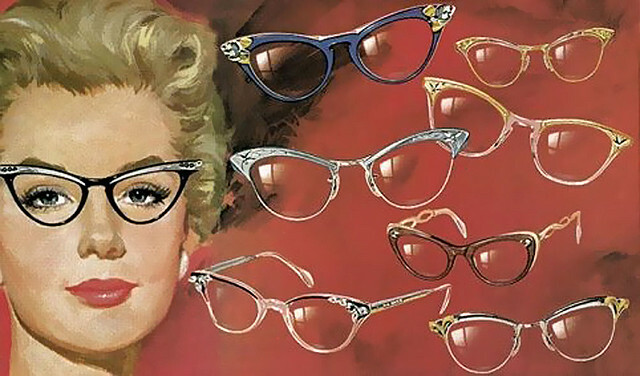 Next to vintage fashion, also vintage eyewear is very popular. From the cat eye models to glasses with a more rectangular shape and brightly coloured spectacles: anything is possible. You can own seven pairs if you want. I also own a pair of eyeglasses in retro style. Unlike vintage fashion (one dress is not enough, one skirt won’t do it either and one pair of shoes is really unthinkable when you’re a woman), one nice pair of eyeglasses is more than enough for me to look at the world with a sharp glance. 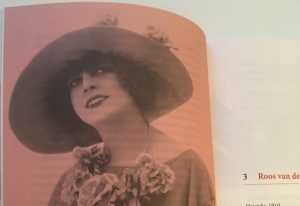 Note: I highlighted the, (in my opinion), most fascinating historical eyewear trends, but ofcourse there were more developments and inventions when it comes to eyewear fashion. I did not include every historical trend in this blogpost. Want more spice and chocolate? You can also follow me on facebook, instagram, twitter, bloglovin and pinterest!